In the summer I make a lot of wraps and sandwiches because they don’t take very long, they are easy to assemble, and they don’t heat up the kitchen. 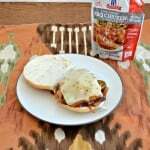 Even when I stuff them with chicken or steak I make it on the grill or in a skillet. Of course, one can only eat so many of the same wraps and sandwiches so I like to jazz them up to make them a little different. 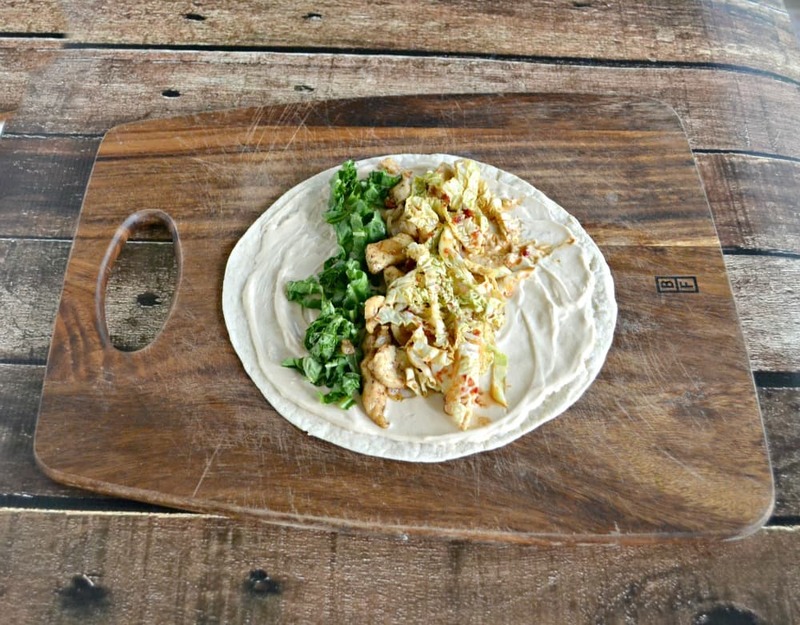 Last week I made these Asian Chicken Wraps. I took my standard Asian slaw and put it in the refrigerator to cool. Then I sauteed a little chicken, garlic, and onions in a skillet then let them cool. I was stuck on a sauce. I usually use Italian or Ranch dressing for our wraps but I wanted something Asian in flavor. 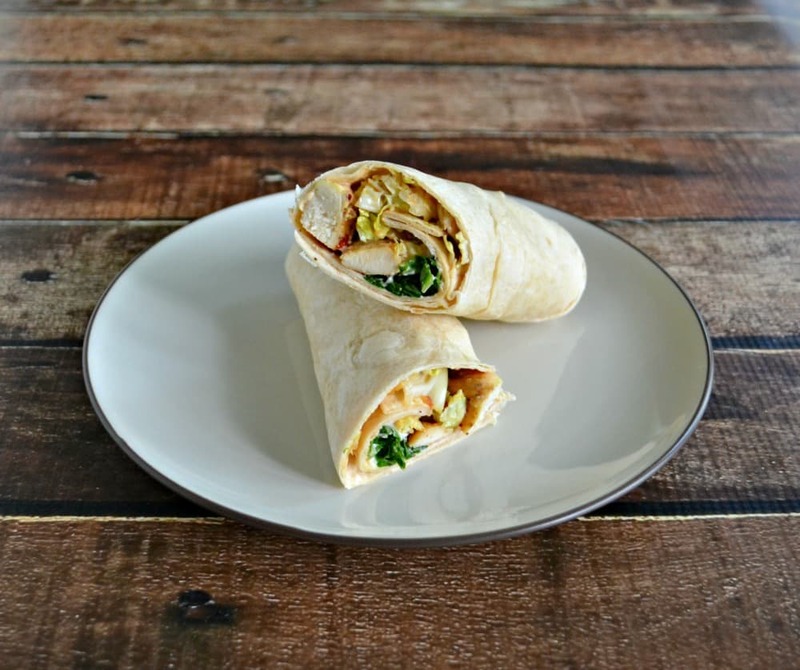 I made a tasty soy yogurt sauce that was perfect for this wrap. 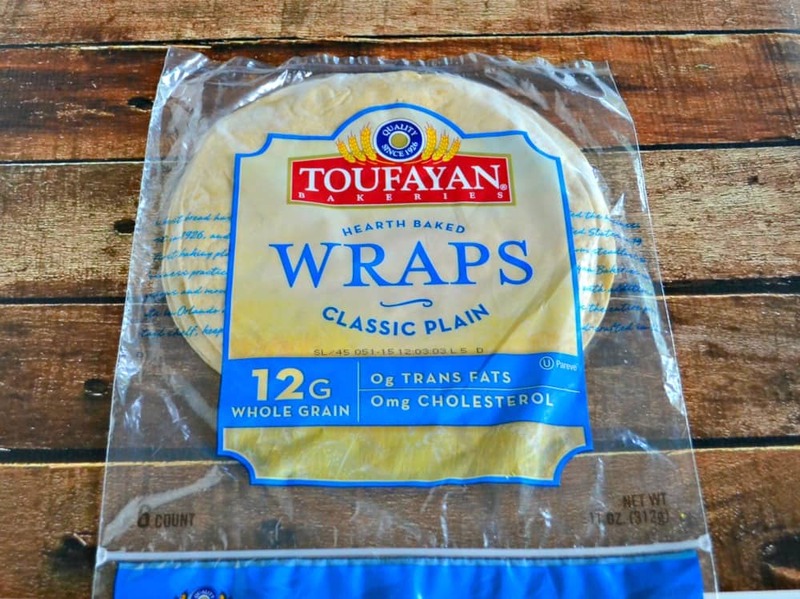 To put it all together I used Toufayan Classic Plan Wraps but I usually have Toufayan Gluten Free Spinach Wraps on hand as well in case we have friends over that eat gluten free. Either one is delicious with this Asian Chicken Wrap. 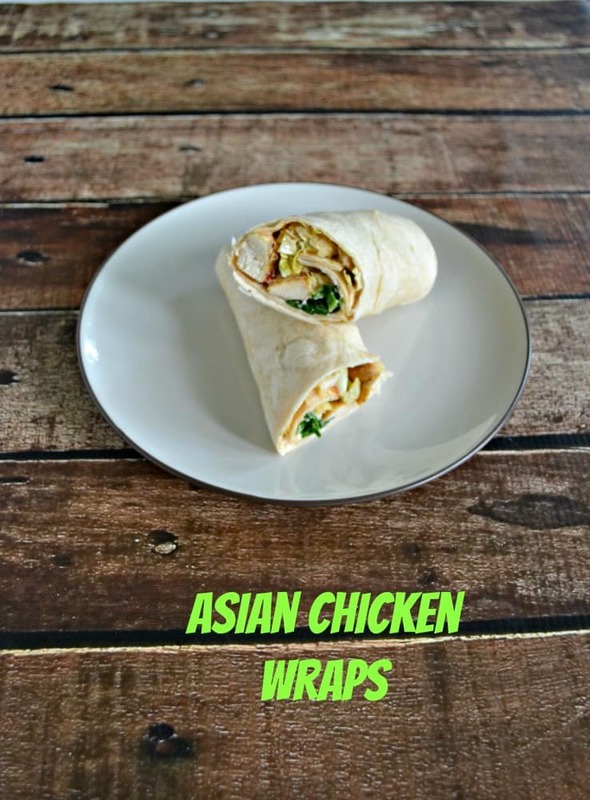 Simply spread the soy yogurt sauce on the wrap, place the chicken mixture on top, put a little bok choy on top of the chicken, and finish it off with the Asian slaw. Wrap it up, cut it in half, and serve it for lunch or dinner. I love that there is a lot of crunch in this wrap from both the bok choy and the Asian Slaw. 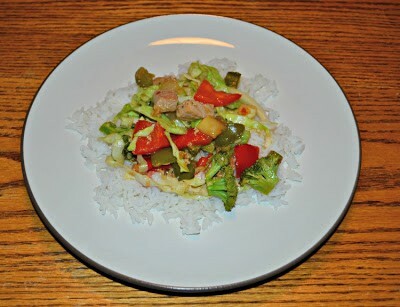 The soy yogurt sauce adds a bit of flavor and the chicken it perfect along with the vegetables. 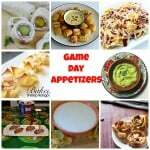 This is great served with a side of rice or wontons! 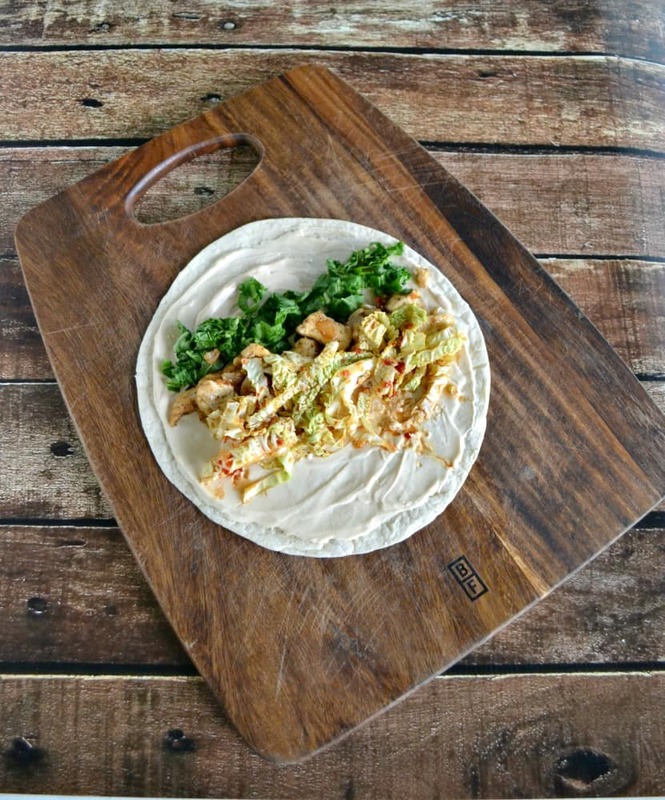 Chicken, Asian Slaw, and a soy yogurt sauce make up this tasty and crunchy Asian Chicken Wrap. Place the cabbage in a medium bowl with a lid. In a small saucepan heat the soy sauce, rice vinegar, chili paste, and sugar over medium high heat. Bring to a boil then remove from heat. Pour the hot mixture over top of the cabbage and toss to coat. Cover with the lid and refrigerate for at least 30 minutes. Pour olive oil in a large skillet over medium high heat. Add the chicken and cook for 5-7 minutes or until it's cooked through. Add in the garlic, onions, salt, and pepper, and saute for 5 minutes. Remove from heat and allow to cool. Combine ingredients for the soy yogurt sauce. Mix well and refrigerate until ready to use. To put the wraps together spread 2-3 tablespoons of the yogurt sauce on the wrap. Divide the chicken among the 4 wraps. Divide the bok choy among the 4 wraps. Spoon 3 tablespoons of Asian slaw on top of the chicken and bok choy. Roll the wrap up, slice in half, and serve. This post is sponsored by Toufayan Bakeries but all opinions are 100% my own. That sounds so good and fresh! I just checked and they sell these at our local Albertson’s. I will have to check them out. My sister would love them for her Celiac kids too.